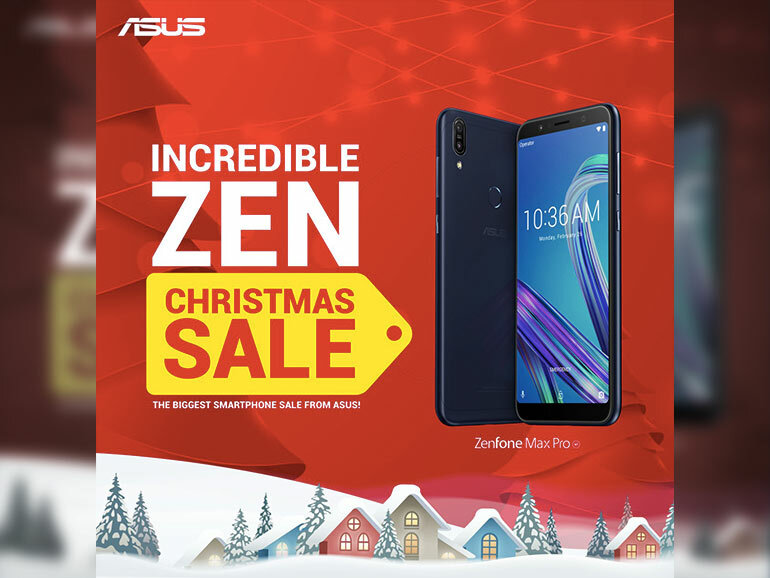 With Christmas nearing, ASUS Philippines celebrates by slashing the prices of several popular handsets. So if you’re looking for the perfect gift for your loved ones, then check out what ASUS PH is offering. All these ASUS smartphones offer good value, but the question I’m assuming you have is “which one should you get?” In my opinion, the best value on the list is the ZenFone 5Q and the ZenFone Max Pro. The ZenFone 5Q a features a 6.0-inch display, an octa-core Qualcomm Snapdragon 630 processor with 4GB of RAM, 64GB of expandable storage, and a 3,300 mAh battery. It also comes with a good set of dual rear 16MP + 8MP cameras. Check out our review HERE. The ZenFone Max series is a personal favorite. The ZenFone Max Pro, on the other hand, features a monstrous 5,000 mAh battery, a 6-inch 18:9 full HD+ display, an octa-core Qualcomm Snapdragon 636 processor, 4GB RAM, and 64GB storage. Check out our review HERE. The handsets are available in ASUS and ZenFone Concept Stores and kiosks, and accredited partner retailers nationwide.